We found your site to offer our Internet Community a great service. Congratulations! information source for cats or just plain showed your love for them!! 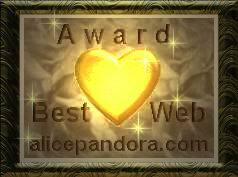 This award is offered in respect and consideration to your good work and artistic expression. 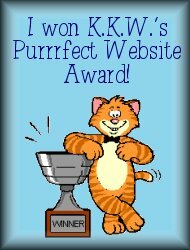 Congratulations on your website! 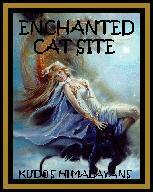 You have done a wonderful job on it and I am pleased to award you with my "Enchanted Cat Site Award"!